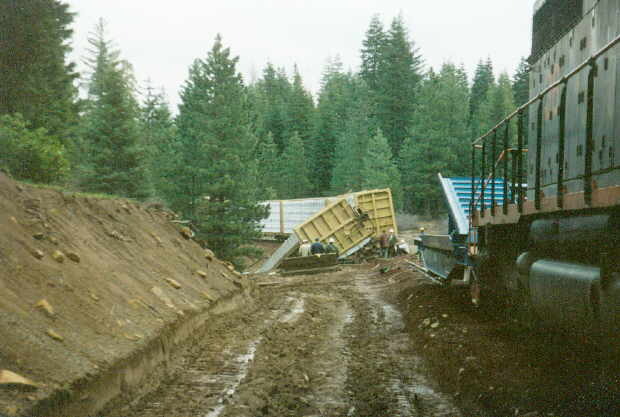 On Tuesday 2 June 1995 a freight train was returning to McCloud from Burney with loads of lumber and woodchips. However, late that afternoon the train derailed when it encountered wide gauge in the tracks about three miles south of Dead Horse Summit. Most of the cars in the train derailed, but remained upright. 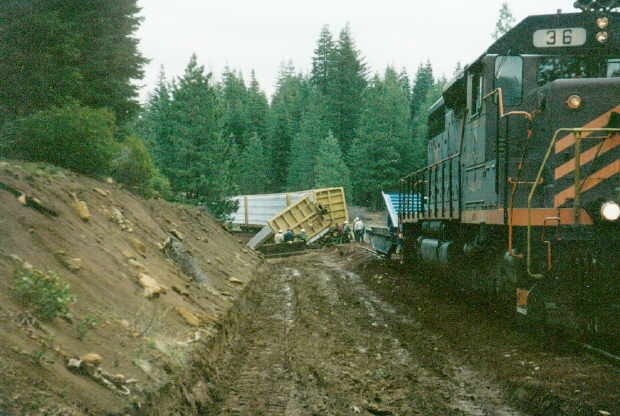 The next day a work train consisting of locomotive #36 and flat #821 carrying a front end loader, ties, and other tools was dispatched from McCloud to the derailment site, where a group of 12 employees commenced re-railing the train. Each car had to be jacked up, the tracks underneath the car had to be repaired, and then the car could be lowered back onto the rails. The operation went fairly smoothly until the last car was being re-railed. One of the jacks holding the car in the air slipped, and the car fell over on it’s side down an embankment. Ivan Marx was crushed by the car and killed instantly. Ivan was 49 years old. 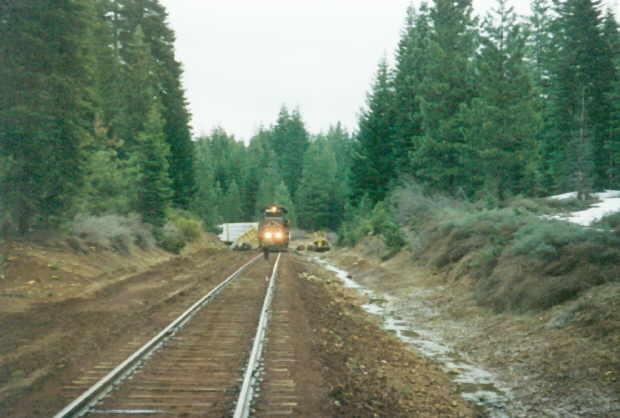 He spent most of his working life with the McCloud River Railroad and the McCloud Railway Company, with most of that time on the Burney-based section crew that was responsible for track maintenance between Burney and Bartle. 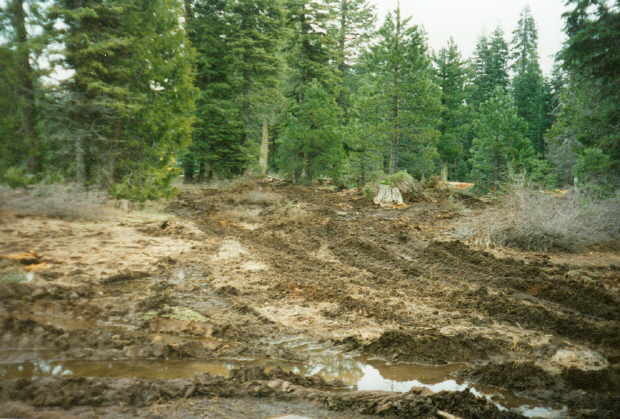 Ivan became the foreman of the Burney section about the time of the McCloud Railway takeover in 1992. Ivan was an avid outdoorsman, with hunting and fishing amongst his favorite activities. He is still sorely missed by all who knew him.